Maximize Your Insurance Benefits With a Dentist In Long Island City! If someone offered you hundreds of dollars in cash, you wouldn’t dream of turning it down, right? You might not realize it, but that’s just what happens when you don’t use your dental insurance benefits! In fact, a recent study by the American Dental Association found that, although the average annual benefit is $1,250 per person, most people only get around $323 of dental work annually. Since insurance benefits are lost at the end of the year, that’s over $900 that many people are passing up. In this blog, you’ll get tips for taking advantage of your benefits and find out which procedures are usually covered by a dentist in Long Island City. Learn more below so you don’t let another year of financial benefits pass you by! What Does Insurance Usually Cover? Cleanings, X-Rays and Exams – When it comes to your oral health, prevention is key! These preventive visits not only help you avoid major dental work, but they’re often covered at 100%, so everyone should take advantage by scheduling checkups twice a year. Also, fluoride treatments are excellent for cavity prevention, so be sure to ask your dentist if your plan covers them. Fillings and Root Canals – After your deductible has been met, insurance plans generally cover 50%-80% of the cost of fillings and root canals. Crowns and Bridges – Many plans will cover crown and bridgework at 50% – 80% after your deductible has been paid. How Can You Maximize Your Benefits? First, it’s always a good idea to double check when your benefits will renew. Most plans start January 1st and end December 31st, but some begin and end on a fiscal calendar year. Second, remember to make it a priority to get preventive care like checkups and cleanings, since (with most plans) it won’t cost you a dime. For other procedures, it’s always helpful to ask your dentist to file a preauthorization beforehand. This formal estimate from your insurance company will give you a breakdown of the coverage they’ll provide. It’s also recommended to plan ahead by finding out if you have any treatment needs as early in the year as possible. Many dentist’s schedules fill up towards the holidays, so it’s better to schedule sooner rather than later! 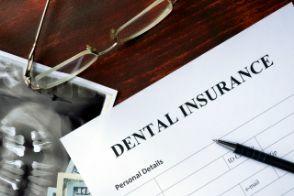 Finally, don’t forget that your insurance plan has an annual maximum (usually $1,000-$3,000), which is the amount of money that they’ll pay for dental work each year. You may as well use the maximum that’s been set aside to help you achieve great oral health and a beautiful smile – at a greatly reduced cost to you. Otherwise, it’s like passing up free money! Dr. Hayley Bindner is a dentist in Long Island City who knows that navigating insurance plans can be overwhelming for patients, so she and her staff make every effort to help them take advantage of their benefits. In addition, she accepts most major PPO plans and also has a program to make dental care affordable for uninsured patients. If you have any additional questions about dental insurance or financing, she can be reached via her website or at (718) 530-6539.